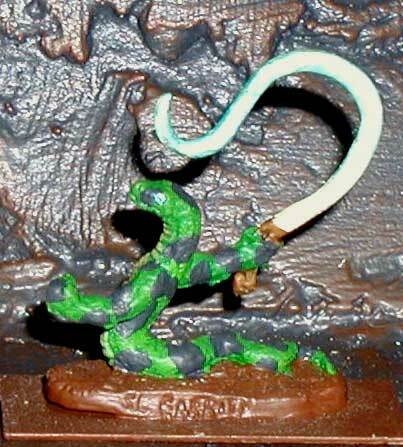 The Snakemen are a unique line of miniatures for the Armies of Arcana line. These brother races fight side by side against there two legged enemy. 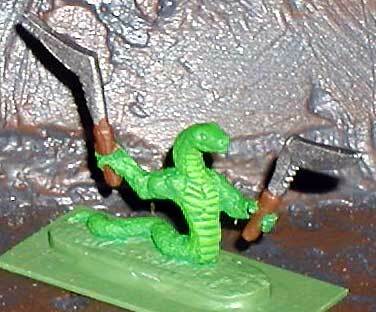 The Nyoka all have regular snake heads and the Kaa have cobra hoods. There weapons have a definite African theme with the African style throwing knives and swords. These fit very well with the 15MM scale, but are designed for Cavalry bases on the battle field. All figures come unpainted. Height measurements are from the bottom of the base to the top of the head unless otherwise noted. 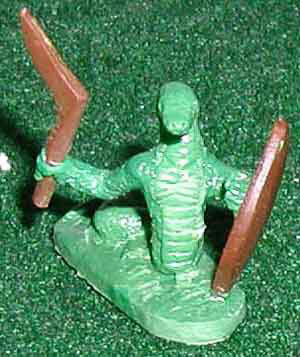 Snakemen wielding African sword and shield. Stands 17MM tall. 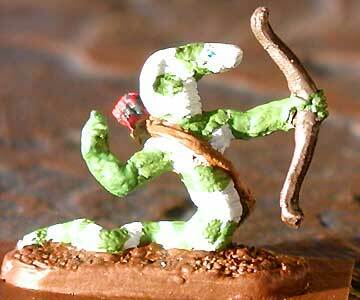 Standard archers for snakemen. Stands 17MM tall. 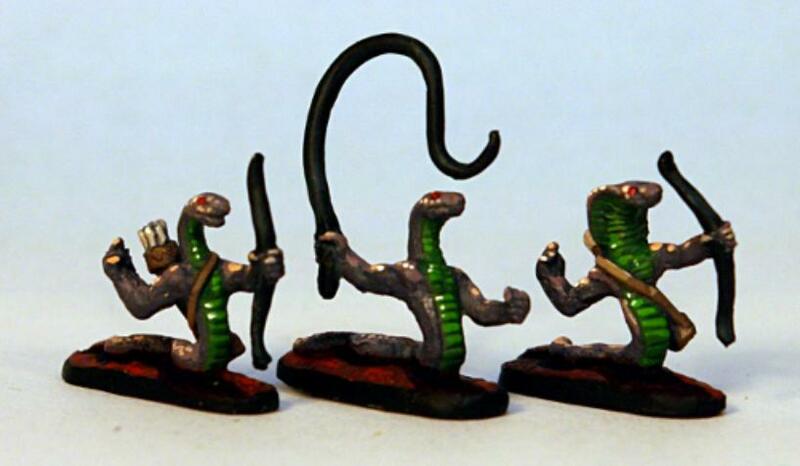 Snakemen with whip. 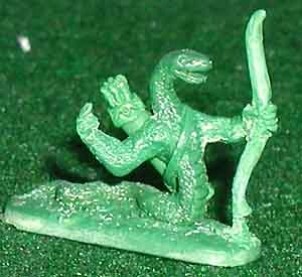 Stands 17MM tall. 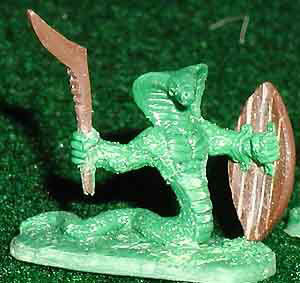 Snakemen wielding an African throwing knife and shield. Stands 18MM tall. 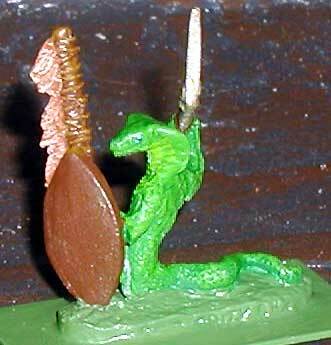 The primary spell caster for the snakemen. Stands 18MM tall. 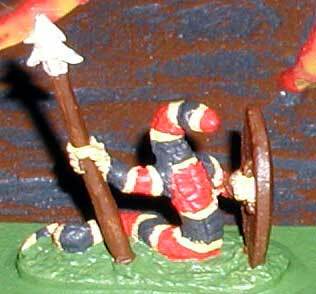 Nyoka with spear and African shield. 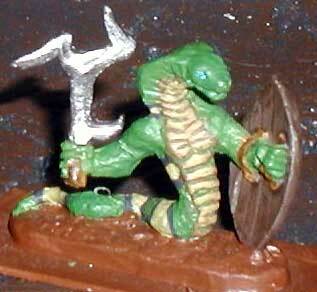 Stands 17MM tall. Nyoka Wielding two African style blades. Also known as the mamba in previous editions. Stands 17MM tall. 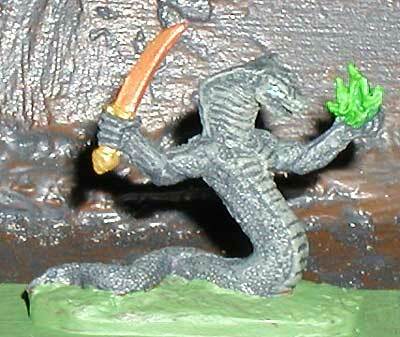 as a leader or a standard bearer this snake means business. Stands 18MM tall.